The National Institute of Health has estimated that 4 out of 5 Americans suffer from back pain at some time or the other in their lives. Back pain afflicts a person suddenly and without giving any prior symptoms. When affected, one must use their body's own healing ability to combat the pain, instead of preferring medicines, and strengthen their body through back exercises. Back exercises, such as acupuncture, massage therapy, chiropractic, osteopathic care and certain other physical exercises are safer ways of treating back pain. 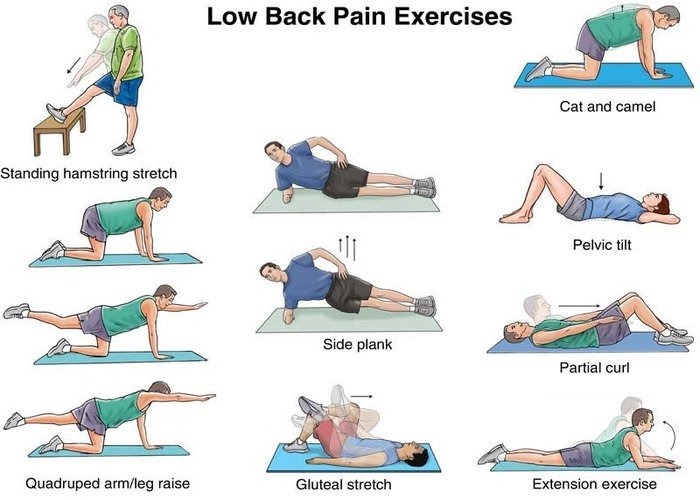 Back exercises are one of the better ways to relieve yourself from back pain and lead a healthy life. It is important to ensure that exercises are worked within a range of motion, so as not to further strain the painful back. In case you experience pain while doing some stretching steps, stop exercising immediately. Avoid sudden movements and jerks when performing back exercises, even though it maybe hard to perform the steps in a slow and controlled motion. People suffering from lower back problems face various problems while working out. 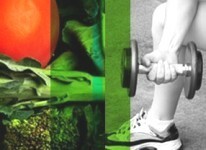 It is important to get into an exercise routine gradually and build muscle power. Always performing back exercises after consulting your trainer. It is also important to understand that back pain doesn't develop overnight and hence restoration of the back will also take time. * Lie on your back with knees bent. * Slowly raise your left knee to your chest, while pressing your lower back firmly against the floor. * Remain in position for 5 seconds. * Relax; repeat the exercise with your right knee. * Repeat this exercise 10 times for each leg.